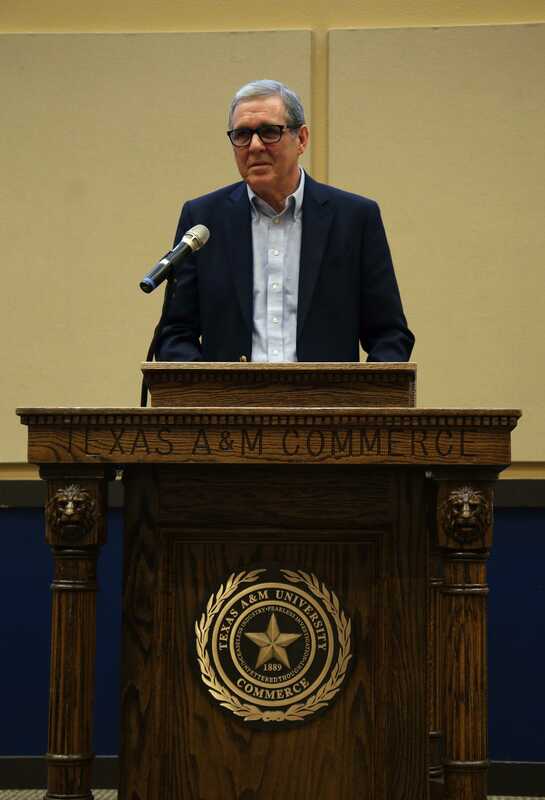 A packed hall at Texas A&M University – Commerce erupted in applause as a five-minute video about the life and career of John Neal, professor emeritus, came to an end. Neal, who retired from Brookhaven College in May 2017, approached the lectern at the front of the room to receive an award, then addressed nearly 200 journalism students and advisers from two-year colleges across the state. 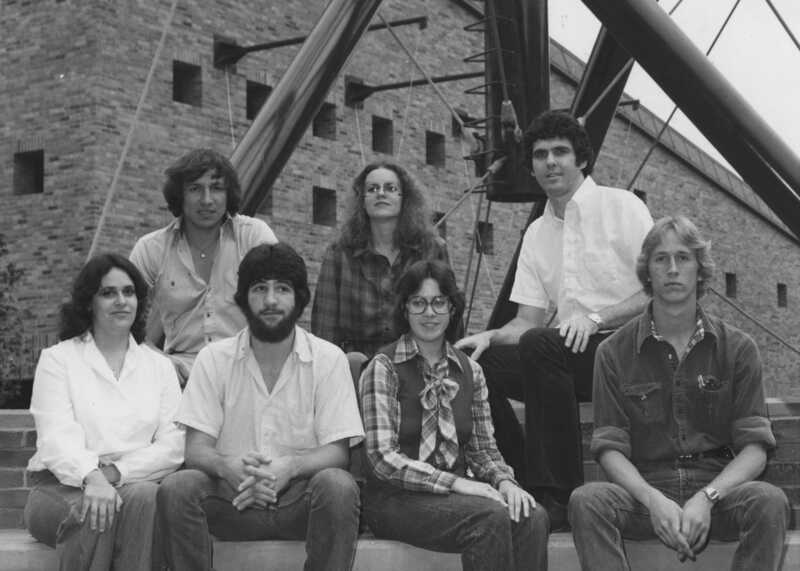 A charter member of Brookhaven, Neal founded the college’s student newspaper, The Brookhaven Courier, in 1978. He supervised the program for 33 years and served as the student publications adviser for more than 20 years. Neal worked as a professor full-time until 2011, teaching various journalism and visual communications courses, including newswriting, editing, photography and graphic design. Before working at Brookhaven, he was the coordinator of graphics at Richland College. He also worked for the Longview News-Journal, the Kilgore News Herald and the Corsicana Daily Sun. Neal earned his bachelor’s degree in English while teaching at The University of Houston. He also holds two master’s degrees – one in communication journalism from The University of Texas at Austin and another in English from Texas A&M University – Commerce. Neal also has a doctorate in college teaching of visual communications from the University of North Texas. When Brookhaven opened in 1978, much of the campus was still under construction. Neal said the facilities needed to begin the student publication, including the darkroom, were not finished when the college opened. At the time, The Courier’s staff did not use computers to write articles or edit photographs, Neal said. One of Neal’s first students, Juan Porra, had an in-home darkroom, which he used to develop photos until the Brookhaven darkroom was ready. Originally printed in black and white only, The Courier did not begin to print in color until 1983. That year, the staff placed a color photo on the front page. Brookhaven also hosted the TCCJA convention that year. In an email to The Courier, Joy Tipping, a Brookhaven alumna who has worked for publications such as NPR and The Dallas Morning News, said Neal set the course for her professional life. Tipping took his beginning journalism course in 1979. DiPietro said Neal was not only a wonderful mentor to him, but also a guiding influence on him in his adult life. Neal served as president of TCCJA from 1983-1985. Neal said he has a lot of respect for the organization. He always looked forward to TCCJA because it is for community college journalism programs. There’s something special about the convention. “It was a pleasure for me to get with all the other advisers and compare situations we were going through with each other, and talk about solutions that the students might encounter if their sources aren’t cooperative,” Neal said. 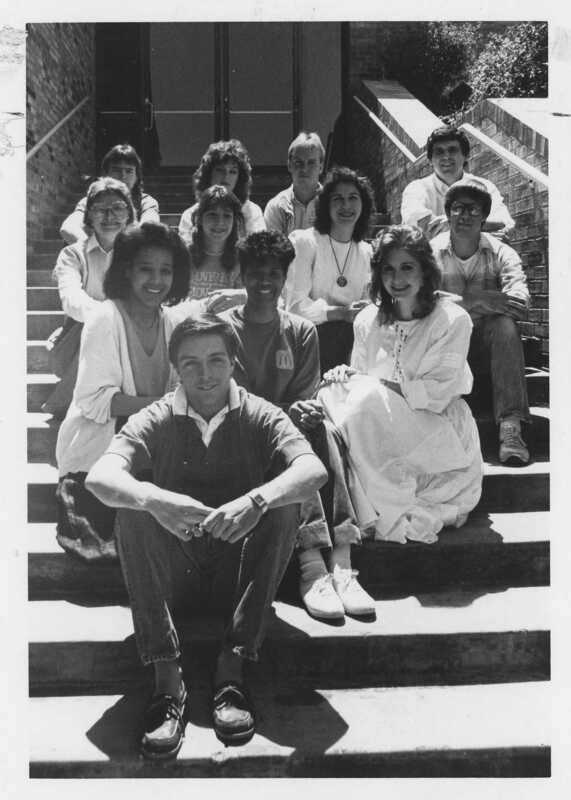 Neal (top right) and a staff group from The Courier pose for a photo on L Building steps. This entry was posted in Awards by The Courier. Bookmark the permalink.